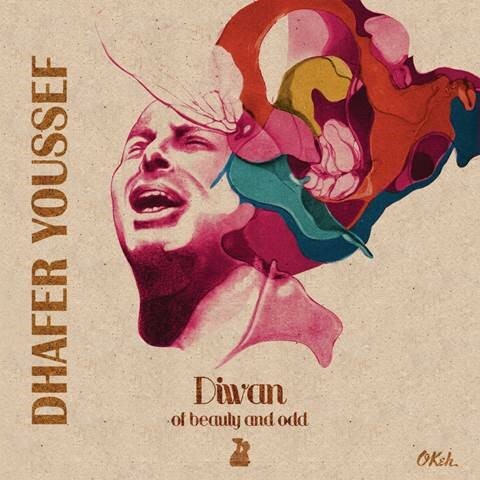 The Tunisian singer and oud-player Dhafer Youssef once said quite spontaneously “There is no prototype for beauty”. This disarmingly unconditional statement is in fact sufficient to sum up the motivation and sound of his new album Diwan Of Beauty & Odd. Anyone who has ever had the opportunity to savour the Tunisian’s passionate, yet peacefully dreamy soundscapes will on this album instantly recognise his temperament and instinctive feel for transcending musical boundaries. As Youssef’s voice soars to increasingly lofty heights, all earthly things are left behind. Unlike most other musicians, who are tempted to keep adapting their music in accordance with the changing currents of the times, his idiom is strictly consistent; only the content of his idiom is variable and brought into line with the ever-changing backdrop against which the music is set. Had it been released five years earlier, the same album might well have had a completely different effect to that felt today, now that beauty, hope and steadfast optimism seem to be receding ever further from our everyday lives.